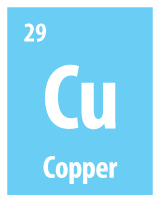 Copper's versatility and proven reliability makes it one of the world's most valuable and sought-after commodities. NSW has a diverse range of opportunities for the discovery and development of copper-rich deposits where copper is produced as either the principal commodity or as a concentrate with significant copper credits. NSW is a prominent producer of copper and the NSW Government is an active campaigner and supporter of exploration campaigns to find even more deposits NSW has the appeal of being one of the lowest cost copper producing regions in the world. NSW copper mining operations are successful bulk mining operations employing advanced technology and modern processing methods. Read about Copper [2.17 MB] mineralogy and prospectivity in NSW. Newcrest continues to explore areas around existing Cadia Valley Operations to expand reserves that will support the development of additional production capacity in this large mineral district. The company's focus is the development and ongoing exploration of the Hera-Nymagee Project, which includes the high grade gold and base metal Hera deposit and the emerging high-grade copper discovery at the nearby Nymagee copper deposit. A scoping study commissioned assesses the commercial potential of reprocessing the tailings, slag and minor hard rock resources.